As a composer, Alan Merrill has written songs performed and recorded by such diverse artists as Lou Rawls, Rick Derringer, Chuck Jackson, Britney Spears, Runner, Freddie Scott, Felix Cavaliere,Queen Of Japan, Vodka Collins, Joan Jett, Five, Dan Penn, The Grand, Mickey Curtis, The Arrows, Spooner Oldham, Reverend Run, Tensaw, George Collis Band, Monsieur Kamayatsu, Ramon Bugatti, Phoenix, Dragon Ash, Catherine Howe, Miley Cyrus, Mari Kaneko, The Grand, Tensaw, Tiny Tim and Troy Turner. The New York Times has called international recording artist Nenad Bach "a cross between Lou Reed and Elton John." Nenad has performed with Bono, The Edge, Luciano Pavarotti, Rick Danko, Richie Havens and Garth Hudson, among others. Nenad played at Woodstock in '94 and he recently completed a tour of Australia, Japan and China. Two of his albums reached No. 1 in Europe, and to date he has sold over one million records. Nenad is solidly backed by the four like-minded musicians comprising the Nenad Bach Band: Joe DeSanctis, Richard Lindsey, Michael O'Keefe and Al Orlo. 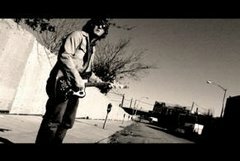 Brilliantly recorded and mixed by five-time Grammy Award winner, John Holbrook, their current CD, All I Want is Freedom, is a potent shot of rock infused with heart and soul, packed with provocative lyrics calling back the ethos of the sixties; unafraid to question, determined to seek answers, in a rousing call to action that electrifies, galvanizes, and at the same time mesmerizes. Quiet Loudly infuses classic soul influence with their signature shoegaze and noise roots. Drawing from a range of influences from Yo La Tengo, Slowdive, and Sonic Youth to Al Green, Otis Redding, and The Band, the quartet presents a new soulful and atmospheric sound. THUNDERBANG! is a three-piece rock band from Queens, NY. Their songs are aggressive and hooky, yet the band avoids easy categorization: songs range from hard, funky celebrations of zombiism (“Dead But Too Dumb To Lay Down”) to less-than-moral ways of dealing with failing relationships (“Cleaning Up”).